I found a few images of behind the scenes set-ups on the Blu-ray featurettes of Elf. They offer a glimpse into how cinematographer Greg Gardiner used forced perspective to create the illusion that Will Ferrell’s Buddy the Elf towers over his North Pole counterparts. 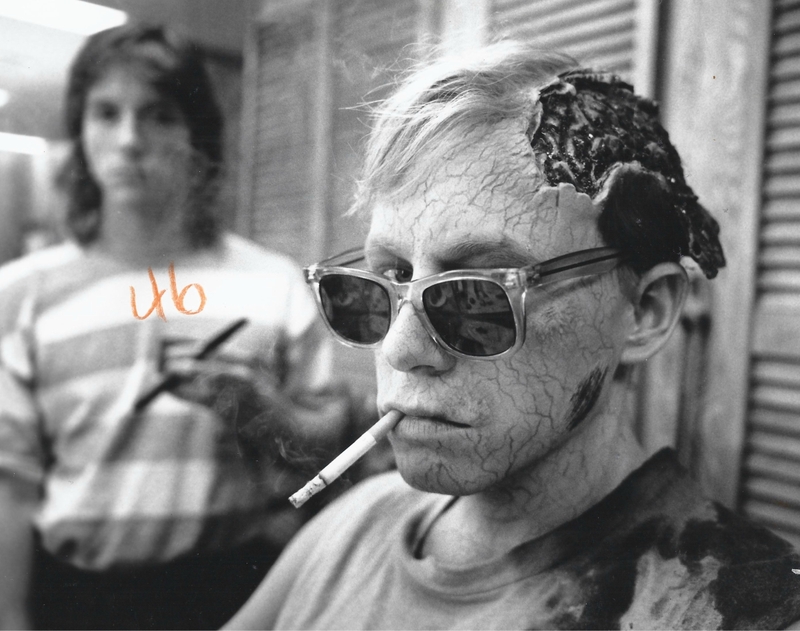 Back in July, special make-up effects artist Mark Shostrom posted a series of photos on his Twitter feed to commemorate the 30th anniversary of director Don Coscarelli’s Phantasm II. Below you’ll find a few of those photos, which document the process behind one of the film’s climactic gags. I’m also posting this to highlight the fact that Coscarelli (Phantasm, The Beastmaster, Bubba Ho-Tep) has a memoir out this week titled True Indie: Life and Death in Filmmaking. Don was the first filmmaker I ever interviewed when he took time, nearly twenty years ago, to do a story for the student paper at the University of Kentucky. I got the chance to talk to him again a few years ago for Filmmaker Magazine to dig into the making of the original Phantasm. And if you continue beyond the photos, you’ll find a pair of videos in which effects legend Greg Nicotero talks about the making of Phantasm II. A set pic from one of my favorite unit stills photographers Matt Kennedy, from the making of James Wan’s Insidious: Chapter 2 (2013). For more of Matt’s work visit his official site or his Instagram feed. Check out more from this year’s 31 Days of Horror. The pic above – along with the one below from De Palma’s Battleship Potemkin homage shot at Chicago Union Station – comes from a recently republished article on The Untouchables from American Cinematographer magazine. Check out more from our Shot Behind the Shot series. Behind the scenes of the HBO retelling of Ray Bradbury’s classic sci-fi cautionary tale Fahrenheit 451. Shot by cinematographer Kramer Morganthau on Panasonic’s 4K VariCam 35 with Panavision Super Speed and Ultra Speed legacy primes. 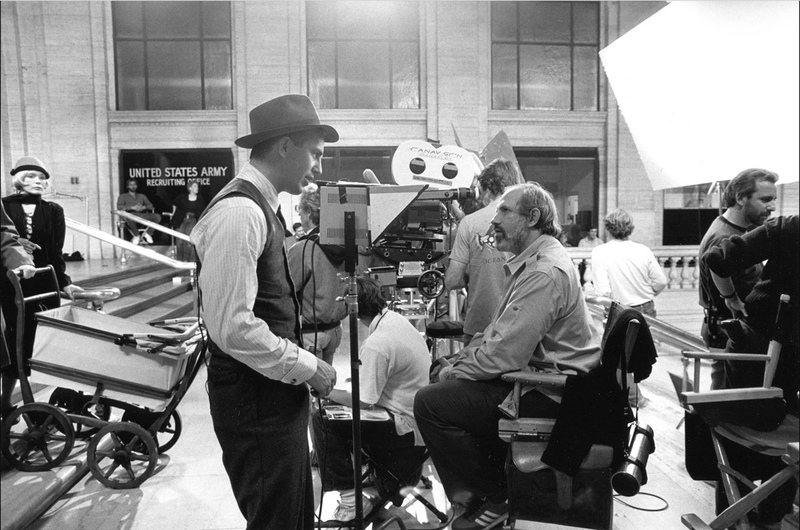 The lighting units you see on frame right – both sitting on the ground and perched on the stand – are Arri SkyPanels. 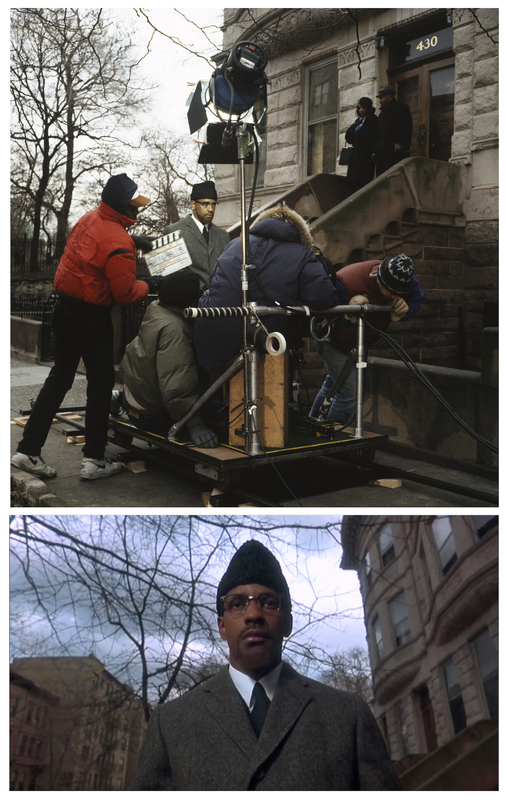 The set pic on the left comes from American Cinematographer magazine’s feature on the film from the June issue, which you can read here.